Amazon.com is providing the gift card prizes. Please read on for giveaway details. Responses to this post really got me thinking and I joined shortly after. At the time, I was not aware of the awesome Prime Photos aspect, but believe me, I have been wildly impressed. Amazon has taken the time to code Prime Photos to tag them, which means that I have been able to find a photo super quickly. After I logged in my family, I was able to quickly find old photos in mere seconds, as opposed to combing through thousands of photos. It’s not just people! Quickly find and rediscover your favorite photos: I took a picture that included a pizza. Don’t ask me why I was looking for this particular photo. Guess what I could search? Pizza! Guess who found the photo quickly? Me! Recently, Amazon Prime has just gotten better. 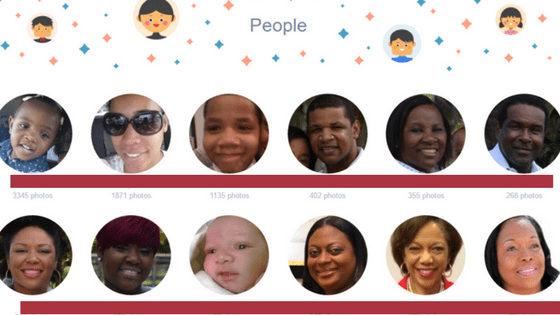 They have launched an all-new Prime Photos experience with Family Vault. Now, Prime members can share their benefit of unlimited photo storage with up to five family members or friends at no additional cost. Prime Photos is free for Prime members and makes it easy for family members to safely store and share all their favorite photos. Prime members can now order photo prints, cards, photo books, and calendars directly from their Prime Photos account. I really need to check this out. I have so many pictures that I need organized. I have loved it. Even though I’m not an online shopper, I have found that I’m much more comfortable shopping with Prime because I don’t need to hit any minimums to get my product. I can buy one thing or ten. Plus so very much more! Wow that is so crazy and way less messy. I didn’t know about this service! That is so cool! I am going to check it out. Thanks for the suggestion! Amazon Prime has so many wonderful features beyond the free shipping and it just keeps getting better. 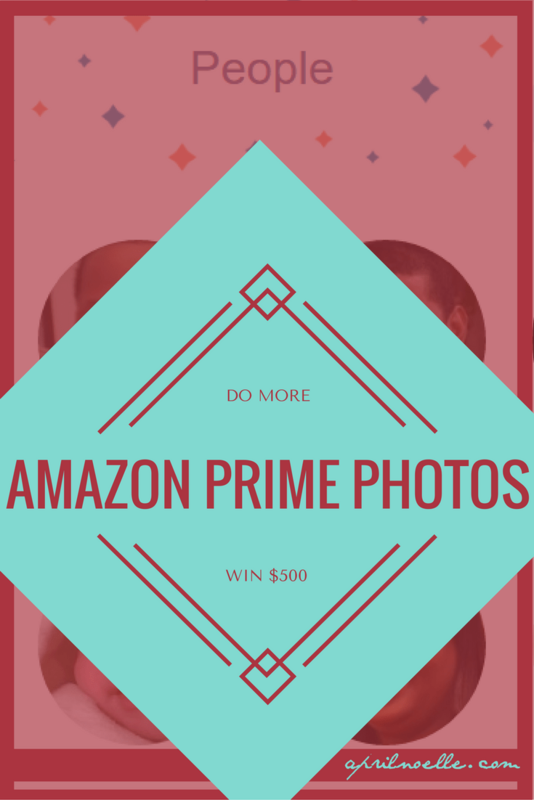 The features of Prime Photos are so great, I need to start taking advantage of this! I love the prime photos idea. I hope I will win the Amazon card. I have Amazon Prime and I had no idea about the photo storage! A great idea and I will definitely be checking this out further. Wow. Prime does just keep getting better. Unlimited photo storage that can be shared. We have so so so many photos that would be so handy. I didn’t know about this feature of Amazon Prime! I know we’re getting it as it has The Grand Tour on there exclusively but this is certainly an interesting feature! I have been hearing so much about this lately. I really need to get my Amazon Prime back. I didn’t know Amazon had this feature. Amazing! And it works well for the whole family which is what I’m all for! I love Amazon so much! I’d love to win a 500 GC. I never knew I could use this! I have so many photos! I need to start using this! I am loving the new feature! My husband has had prime for a while and this was one of the new features I am in love with. This is perfect for people who have families living somewhere far. I think it’s a great feature and people should totally take advantage of it! Amazon Prime is always coming up with new aspects to their service. It really is worth the investment. This would make taking pictures so much more convenient especially for people who travel a lot like me! Amazon really is worth it! I am not an Amazon Prime member yet, but this sounds interesting and the launch of a new program with Family Vault is going to be so much helpful for many to make use of the best of their photos. I am going to check out Amazon Prime Photos right away! Never heard of this before and will most definitely have to check it out! I might wind up doing this. I take so many pictures with my phone, it would be good backup. I don’t trust the cloud. I am a prime user and its one of the best services ever! I love this new feature from Amazon. I have been reading about it and it sounds like something I could certainly use. not aware that there are such services! if only I knew about this before I shouldnt cleared my album and save it here! great tips! thanks for sharing! $500 is a big amount to win. The best thing about amazon prime is that you get best products and they offer you many great deals. I’m an Amazon Prime Subscriber. I haven’t checked out the prime photos yet but I’m fixing to download it and give it a shot. I love the features of it.